My kids love eggs...they adore eggs...so I try to be quite creative with them. It's very fast and easy...and uses ingredients you have in your pantry or fridge. After the eggs are cooled and peeled, slice them in half...I found a cute little trick when I did them this last time. I used a serrated steak knife to cut them in half, and it made a pretty little design on the top of the egg! Scoop out the yolk and put them all into a medium size bowl. When all the yolks are added, it's time to add in the rest of the ingredients, except the paprika. Mix it all together thoroughly. You can mix this by hand, and have a chunkier consistency or you can mix with a mixer for a smoother filling. Once it is all mixed, spoon it into a zip lock baggie and cut the end off. This will act like a 'decorating' bag for the filling to come out smoother! 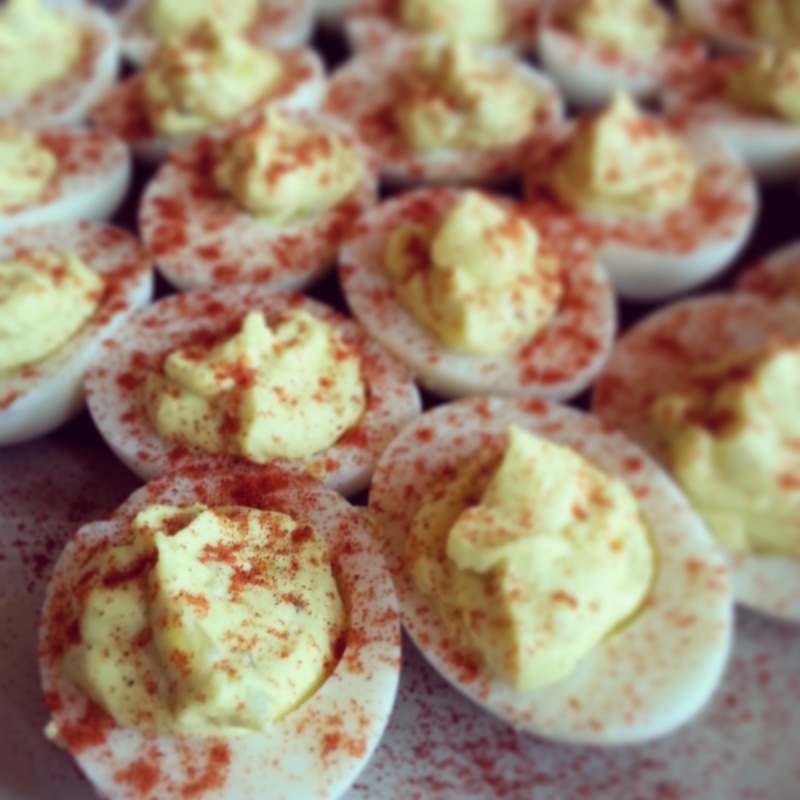 Fill each egg shell, and sprinkle with paprika! One thing about this recipe is that it's quite versatile. If all the eggs to not get eaten, which this scenario is rare! You can chop up the eggs and it makes a very nice egg salad also! I will probably never buy expensive coffee creamer again! I found the solution on non other that Pinterest!! I've modified the recipe (of course) and I'm in love!! It's quick, easy and tasty!! I don't find that it's so heavy, thick and bulky like the store bought kind either, because I used skim milk. Notice I didn't put measurements....because I don't know! The recipe on Pinterest calls for specific amounts but I didn't like it. Fill the bottle 1/3 of the way up with milk. Now I chose skim because that is what we drink, but you can use any type of milk you like. Now pour in the sweetened condensed milk. 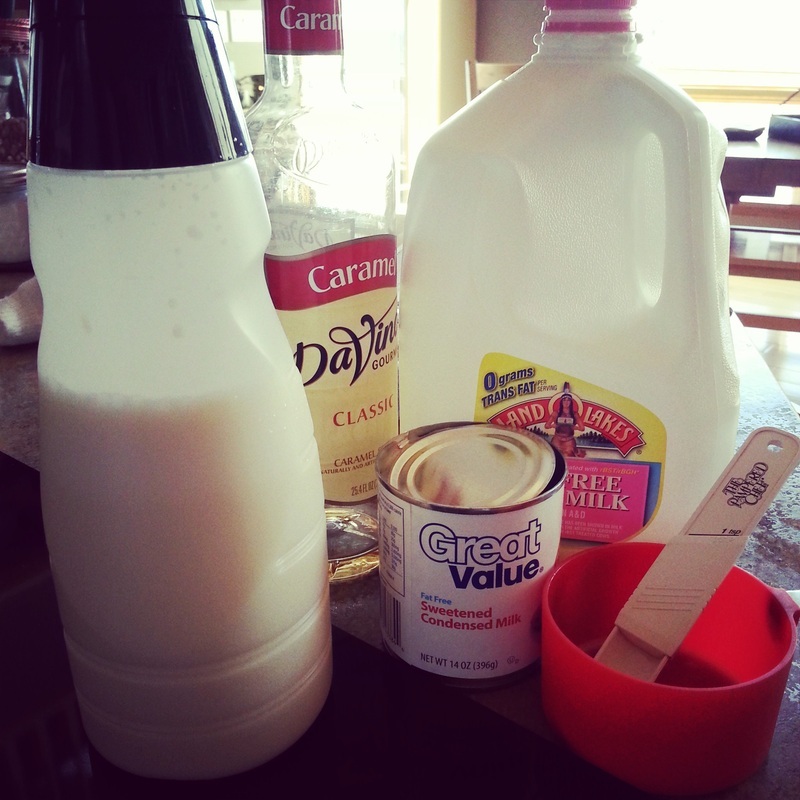 I found that putting some milk in the bottle first, help incorporate the condensed milk better. Since the condensed milk is so heavy it sink to the bottom right away, and if you put it in first, it's much harder to shake it off the bottom and get it well mixed in. Next add about 2 TB of coffee syrup. I usually use vanilla or caramel. Then fill the bottle the rest of the way up with milk. Leave some room on the top, so you can easily shake it. Put the lid back on and shake'er up! It's terrific!! I use it daily!! And it's so much cheaper than buying a $6 bottle of creamer...this costs less than $2!! I love to make this as often as possible. Mix all this together in a large bowl. If you like it a little bit chunkier, leave it that way it is. I like to take my hand blender and blend it a bit to make it more 'liquidy" Store the remainder of the salsa in a mason jar in the fridge. Serve with tortilla chips!! 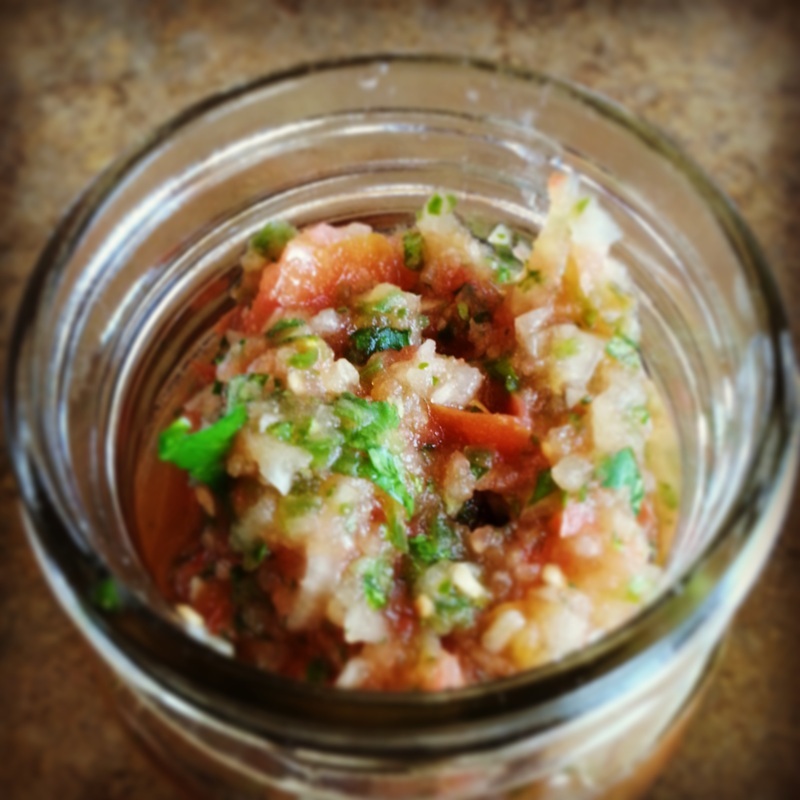 Try adding 1 mashed up avocado to about 1 cup of the fresh salsa, you get a whole new spin on a tasty treat! !